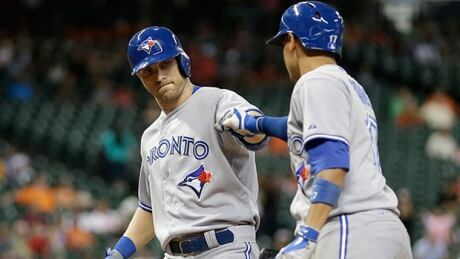 Nolan Reimold hit two home runs, including a tiebreaking solo shot in the ninth, and the streaking Toronto Blue Jays rallied for a 6-5 win over the Houston Astros on Thursday night. Seattle running back Marshawn Lynch ended his seven-day holdout over contract issues and reported to training camp for the Super Bowl champions. Lynch arrived at the Seahawks' camp after the team's morning practice on Thursday. The Seahawks have said they did not plan to diverge from their financial plan to appease Lynch, although they could agree to waive the $495,000 in fines he has amassed for missing the first week of training camp. 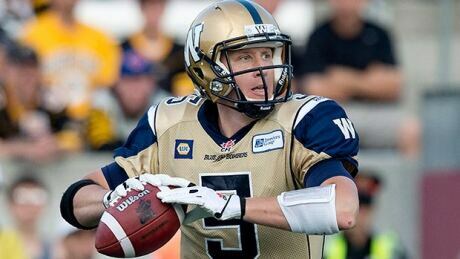 Drew Willys two-yard TD pass to Nic Grigsby on the final play of the game rallied the Winnipeg Blue Bombers to a stirring 27-26 comeback win over the Hamilton Tiger-Cats on Thursday night. Marshawn Lynch's holdout is over, ending one distraction so far for the Super Bowl champions. Lynch arrived at the Seattle Seahawks practice facility on Thursday afternoon following the team's morning practice. Lynch was caught by television cameras talking on his phone out near the Seahawks practice fields wearing a hooded ''Beast Mode'' sweatshirt and knit cap on an 85 degree day. Seattle coach Pete Carroll said after practice that he did not know if Lynch was on the verge of reporting. 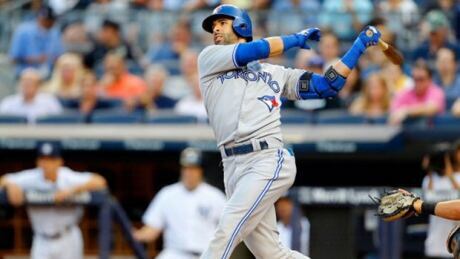 Jose Bautista told reporters in Houston before Thursday nights game against the Astros that he had mixed feelings about the Blue Jays inaction at the trade deadline. The San Francisco 49ers put contract talks with coach Jim Harbaugh on hold until the season ends. "We actually just had this conversation (Wednesday)," 49ers owner Jed York said, according to CSN Bay Area. The 49ers are hoping to go to the Super Bowl. San Francisco reached the Super Bowl two years ago before falling to the Baltimore Ravens. 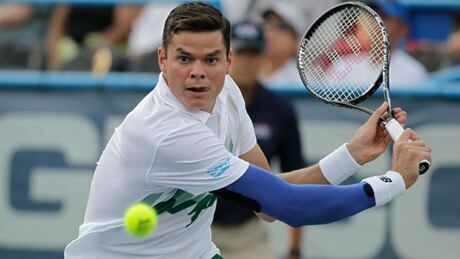 Canadians Milos Roanic, Vasek Pospisil both posted impressive victories at the Citi Open tournament Thursday in Washington to advance to the quarter-finals. Chimdi Chekwa has dealt with so much in his first two NFL seasons that a matchup with wide receiver James Jones in practice seemed fairly easy in comparison for the Oakland cornerback. At least that's how Chekwa made it look Thursday. The former fourth-round draft pick dropped back into coverage, stopped, then made a quick break forward and got in front of Jones to knock away the pass thrown by quarterback Matt Schaub. ''It's hard to pick off a ball that's going to James Jones but it should have been a pick.'' Chekwa has made several similar plays during the first week of training camp since stepping in for injured projected starter D.J. Hayden. You are currently browsing the Sportspool.com Sports News blog archives for July, 2014.